Are Low Commission Real Estate Agents Worth Working with in NYC? Discounting is not a new concept and low commission real estate agents have been around for as long as there have been real estate brokers. There’s a good reason why everyone isn’t using a low cost real estate agent to buy or sell. We’ll explain the pros and cons of using a 1 percent commission Realtor to sell your home as well as the benefits of and considerations to getting a commission rebate on your purchase in New York. Will a 1% Real Estate Broker Be Motivated to Sell My Listing? Will Other Brokers Cooperate with a Low Cost Real Estate Agent? Are Incentives Aligned with Only a 1% Listing Fee? Are Low Commission Real Estate Agents Helpful for Buying a Home? A 1% real estate broker will certainly be motivated to sell your property if they are paid on commission and the property is located in a high value locale like New York City. Considering that the average home sale price in NYC is approximately $2 million, 1% commission is still $20,000! Furthermore, just having an exclusive sales listing in Manhattan, Brooklyn or Westchester brings tangential benefits like enhanced branding and credibility. However, beware of companies that treat their agents as employees on salary versus salespeople on commission. The employee model typically rewards agents based on factors such as customer satisfaction or reviews. However, an agent with a fixed upside will by default not be one of the best agents. Why? Because all of the good agents are out there earning full commission at traditional brokerage firms! Think about it, agents can and do easily jump ship to other firms all the time. What’s preventing a good agent from doing so the first opportunity they get? Furthermore, an agent on salary will simply not be as motivated to chase down all of the leads that come in on your property. Again, they have no upside in doing so! So if you’re lucky and there’s a hot market, maybe it won’t matter too much. But if you have competing listings on the market or if the market is just a little slow, you’ll be at a distinct disadvantage versus other listings where the broker is motivated to sell the property. 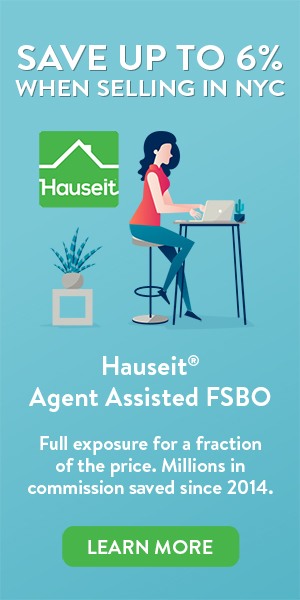 Hauseit was the first company to introduce a 1 percent commission Realtor option in the New York metro area. All of our partner brokers are brand name, traditional brokerages who never openly discount and have great working relationships with the broker community. No one will know you’re getting a better deal! Low commission real estate agents face a real risk of being boycotted by traditional Realtors, especially if a low cost real estate agent openly discounts their services. Unfortunately, most mom and pop discount Realtors and even large discount brokerages all face this problem. Because they openly flaunt their reduced commission and often talk loudly about how traditional Realtors are overpaid, no one wants to work with or help them! Buyers’ agents will simply choose any other listing to send to their clients versus one listed by a discount broker. No one wants to help a low cost real estate agent out there to disrupt their livelihoods! Fortunately, the underground FSBO movement in NYC is gaining ground and more and more home owners are signing up for Agent Assisted FSBO or 1% for Full Service listings to sell their homes. Both options pair home sellers with brand name, traditional real estate brokerages in their area who have discreetly agreed to provide a better deal through Hauseit. Because none of our full service broker partners normally or openly discount their services, they retain their reputations and great working relationships with other brokers. Furthermore, because other agents can only see the commission that’s being offered to them in the MLS (RLS for NYC), no one will know you’re getting a better deal! A 1% real estate agent who will only earn a 1% listing commission will have all of their incentives aligned if they will also be able to make a market rate on direct buyers. This is especially relevant if the direct buyer is an existing client of the brokerage. It wouldn’t make sense for the brokerage to proverbially shoot themselves in the foot on their own listing by only taking 1%. That’s because buyers are worth 2.5% to 3% on the open market on any other listing! The best way to maximize savings and still keep incentives aligned is to agree to waive the 1% listing fee if the agent finds a direct buyer, and instead let the 1% real estate broker keep the buyer’s agent fee. Therefore, assuming you decide to offer a reasonable 2.5% commission to buyers’ agents, your total cost would be either 3.5% or 2.5%. It would be 3.5% if the buyer has a broker (1% listing fee plus 2.5% buyer agent fee) or only 2.5% if the buyer comes direct. This commission structure maximizes your savings for full service while also keeping incentives perfectly aligned. Your 1% real estate broker will be incentivized to both earn more money and save you money by finding a direct buyer. Furthermore, your 1% real estate agent won’t be hurt by showing your listing to one of their own buyer clients. Be careful of low commission real estate agents who do not understand the above commission structure. They are either naive, inexperienced or outright malicious if they claim to not understand the rationale for the above commission structure! While having a low cost real estate agent who will rebate you a portion of the commission they earn from the seller is helpful, you want to make sure your buyer’s agent is not openly doing this as a business model. It’s much too easy today for even your most dimwitted, traditional listing broker to simply Google an unfamiliar buyer’s Realtor upon first contact. What do you think they’ll find? Do you think they’ll really agree to give up half of their paycheck to someone who they view is cheating to get clients? Furthermore, don’t even think about looping in your typical mom and pop rebate broker after you’ve already contacted a listing’s agent unless you want to seriously jeopardize your deal. Doing so is one great way to make a traditional listing agent’s blood boil. They’ll be bound at the very least to call up every other buyer to shop your offer and do their best to discredit your offer in front of the seller. The only sensible option is to work with a traditional, brand name, veteran buyer’s broker who has discreetly agreed to provide you with a commission rebate post-closing. All of our partner brokers are highly rated and highly experienced senior brokers with great working relationships with the wider brokerage community. Because they don’t normally or openly discount their services, no one will know you’re getting a better deal! Are you a first time home buyer? 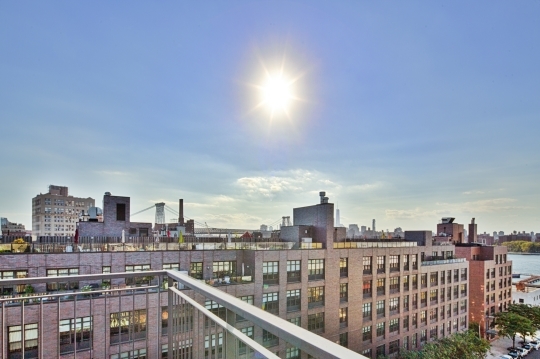 Learn more about the NYC real estate market by checking out our guides on buying a coop in NYC and buying a condo in NYC as your next step!